Security is important to you, but your time is priceless. Why risk a LOCKOUT due to a lost key? Lock it down with BOLT, Breakthrough One-Key Lock Technology! Simply select a Chevy, Ram, Jeep, Ford, Toyota or Nissan compatible lock and on the first use the BOLT Lock permanently learns your key. In addition to convenience, the automotive grade technology used in BOLT Locks provides enhanced security, and each BOLT Lock comes with a Limited Lifetime Warranty. A stainless steel lock shutter and rugged jacket help each lock achieve the industry’s highest corrosion resistance rating, making them perfect for demanding outdoor applications! BOLT Locks are made by STRATTEC Security Corporation. STRATTEC Security, headquartered in Milwaukee, Wisconsin, is one of the world's largest producers of automotive locks and keys. STRATTEC designs, develops, manufactures and markets mechanical locks, electronically enhanced locks and keys, and ignition lock housings; access control products, including latches, power sliding door systems, power lift gate systems, power deck lid systems, door handles and related access control products for North American and global automotive customers. STRATTEC ships products to customer locations in the United States, Canada, Mexico, Europe, South America, Korea and China, and provides full service aftermarket support. STRATTEC also supplies products for the heavy truck and recreational vehicle markets, as well as precision die castings. Click on image banner below and it will take you to BoltLock.com. From there you can search for replacement locks and accessories for your vehicle. BOLT Locks have been integrated into commercial body and toppers from the leading manufacturers. You can find out more about these solutions on their websites. Want to use BOLT Locks? BOLT cylinders have been integrated into a variety of handles from leading manufacturers. FITS MOST OEM AND MOST AFTERMARKET ALLOY WHEELS REPLACING ONE 1/2″ -20 THREAD LUG NUT WITH 3/4″ STUD LUG NUT PROVIDED. FOR BEST RESULTS USE WITH ALLOY WHEELS WITH A 1″ – 1-1/8″ LUG NUT WELL. BOLT Locks are sold through distributors throughout the United States and Canada. 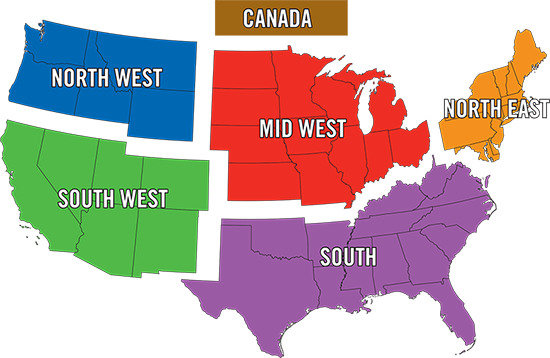 Use the map below to find a distributor that is closest to you! Interested in becoming a BOLT Lock distributor? Contact our Sales Team here. It works with my key? How does it do that? What types of locks are available? Can you reset a BOLT Lock? But isn’t this the same technology as in the house locks that can reset? What is this customer loyalty program that you talk about? What vehicles does BOLT Locks work with? Will the locks work with my house key? You don’t list my vehicle on the vehicle match! Do you still have a lock that works with my key? My Nissan key doesn’t fit! What should I do? I have a Chevy Colorado / GMC Canyon from before 2014; do you have a lock for me? What is the maximum weight that the BOLT Receiver Lock can pull? The pin on my hitch lock is to short! What should I do? Does the BOLT Jeep Spare Tire Lock fit my Jeep? Will the toolbox latch fit my toolbox? My toolbox doesn’t have a paddle latch; do you have a lock that will work with mine? I sold my truck but I kept my toolbox, can I rekey the lock? Your replacement tailgate handle says it only works for Silverado/Sierra’s from 2007-2013. I have a Silverado/Sierra Classic; will it work with my truck? Your replacement tailgate handle says it only works for Silverado/Sierra’s from 2007-2013. What about my truck? What about this lock? I think BOLT would be perfect for this one! Where can I buy BOLT Locks? I live in Canada, where can I buy a lock? I ordered a lock from your website but I am now having a problem with my lock, what should I do? What do you mean by a limited lifetime warranty? Does that mean you won’t replace my lock? How do I get a replacement lock under the warranty? I had a BOLT Lock but I just purchased a new vehicle, what am I supposed to do with these locks? I just moved my tonneau/bed topper to a new truck I bought, how can I get it keyed to the new truck? I bought a used tonneau/bed topper that has a BOLT Lock, how can I get the locks to work with my truck key? Is it possible to retrofit my existing tonneau/bed topper with a BOLT Lock? BOLT®, Breakthrough One-key Lock Technology, Locks are an innovative technology that allows you to set a wide variety of locks to work with YOUR vehicle’s ignition key, providing you with convenient security. Are you tired of the little keys for all of your locks? Maybe you are always wasting time looking for the right key for your lock. No matter if you have 1 or 20 locks you will still only need 1 key with BOLT Locks. And you can set as many BOLT Locks to work with your vehicle key as you want or need! The first time you insert your ignition key into the lock the spring-loaded plate tumblers move up and down until they are matched exactly to your key. As you rotate your key for the first time the position of these plate tumblers is permanently set to your key. Still want to know more? Check out our How It Works video! The BOLT Lock series currently includes a 5/8” and 1/2” Receiver Lock, 2” Padlock, 6’ Cable Lock, Coupler Pin Lock, Toolbox Latch, Jeep Spare Tire Lock and a GM Replacement Tailgate Handle for 2007-2013 Silverado’s/Sierra’s. However our engineers are always coming up with new and innovative ideas so keep checking back to see what we they have come up with! There are a lot of truck and SUV owners out there who need to lock up their gear. What if you could eliminate the frustration of getting to your next job, vacation, or realizing that you left the keys to your receiver hitch lock back at home? BOLT Locks are an ideal solution for anyone. BOLT Locks are currently being used by off-road racers, bass fishermen, construction companies large and small, utility providers, and just everyday people. We still have locks for you! Maybe you have a storage unit that you visit regularly, wouldn’t it be convenient not to have to remember that little key every time and instead use your car key? Just about anything can be locked up with a BOLT Lock! Storage sheds, gates, people have even locked up their boats with a BOLT padlock. Whatever you would normally use a padlock or cable lock for a BOLT Lock could be perfect for you! Can you reset a BOLT Lock if you get a different car/truck? Unfortunately no. For security reasons all BOLT Locks permanently learn the first key used on them and cannot be reset. We did this for added security of the lock, if the lock could easily be reset what is to stop someone from walking up and resetting the lock on you, causing a potential lockout or even worse allowing them to steal your belongings. If you do upgrade your car/truck check out our Customer Loyalty Program for more details. But isn’t this the same technology as in the house locks that can be reset? Sadly it is not. The technology used in car locks to keep them secure is considerably different from what is used in your household locks, just like your house key is different from your car key. While this difference makes the locks more secure and capable of handling almost anything you can throw at it, it makes it much more difficult to engineer the lock to be reprogrammable. In early 2014 we started our customer loyalty program to help our customers who have decided to trade in their vehicles but want to keep the convenience of their BOLT Locks. As part of the program these customers can send in for a coupon for a discount on their next purchase of BOLT Locks at BOLTLock.com. A request for a coupon can be submitted here. New customers are encouraged to register their locks when they purchase them to expedite their request for a coupon. If you have not previously registered your lock you can still request a coupon and a BOLT Lock representative will contact you to confirm your previous purchase. BOLT Locks work with a majority of the vehicles on the road today. Currently we have lines for Ford, Chevy, GMC, Chrysler, Dodge, Ram, Jeep, Toyota and Nissan vehicles going back to about the mid-90’s. Want to make sure that we have a lock for you? Check out our vehicle match! At this time BOLT Locks only work with a double sided vehicle ignition key. We do not always list out every trim level for these vehicles. If you go through the vehicle match and you don’t see your vehicle, try again but this time use just the base model or “none”. Our vehicle match is based on the lock and key packages and many times these overlap. If you want to double check that you have the right lock click on the part number and there is an image of the compatible keys on the product page. For these vehicles we are dependent on waiting for the key information to be published before we can verify that they work with our locks. Does this mean that your vehicle key won’t work with our locks? Not necessarily. Use the last model year available in our vehicle match, click on the part number of the lock you would like and check that your key looks like the ones we show on the product page. Out engineers are always looking at new manufacturers that we can make locks for! Send us an e-mail at info@boltlock.com and let us know which vehicle you have so we can make sure that they know that people want them! Still not sure if your key will work? Send us a picture of your key, along with what vehicle you have, to info@boltlock.com and we will be happy to look at it and let you know! First, stop! Don’t try forcing your key into the lock as you can damage both your key and the lock. Nissan vehicles come with both a standard key and a valet key which is slightly thicker. As an extra security measure BOLT Locks do not work with Nissan valet keys and only work with your original factory key. If you are not sure which key you have we recommend you try your key in your glove box. The lock on your glove box only works with your original factory key so if it does not fit please try and locate your original key before coding your BOLT Locks. Unfortunately this is one of the few GM vehicles we do not support. The Colorado/Canyon uses a different type of key besides the standard GM key, a type of key that we do not support. However with its reintroduction with the 2015 model year the Colorado/Canyon will be switching to use the new GM Center cut keys. The BOLT Receiver Locks are rated to tow the maximum weight for their class. For our 1/2" Receiver Locks this means a gross trailer weight of 3,500 lbs and a tongue weight of 300 lbs. For our 5/8” Receiver Locks this is a gross trailer weight of 16,000 lbs and a tongue weight of 1,600 lbs. For more information please see our towing guide. We offer two different sizes of receiver pins, our 1/2” and 5/8” pins, and both pins have different lengths. Our 1/2” pins are for Class I and II receivers and our 5/8” pins are for Class III, IV and V receivers. If you are unsure of what class your receiver is measure the inside width of your receiver. A Class I or II receiver is 1-1.5” and a Class III, IV or V receiver is 2-2.5”. If you ordered the wrong pin for your lock contact us at info@boltlock.com and we can exchange the pin for the correct side. If you are looking for a pin that has a useable length longer than 3.5”, unfortunately that is the longest pin we have at this time. The Jeep Spare Tire Lock fits most OEM and aftermarket alloy wheels for Jeep TJ’s and JK’s 1997 to date. Each spare tire lock comes with a 1/2” -20 threaded lug nut with 2/4” stud, and is designed to fit in a lug nut well between 1” to 1 1/8”. See the diagram below for more detailed information on which tires the Jeep Spare Tire Lock fits. Maybe. Does your box have a paddle latch? We have checked most DeeZee and UWS boxes, however there are a variety of boxes out there that use a paddle latch that we haven’t been able to check yet. The BOLT toolbox latch uses an industry standard paddle latch and will work with most toolboxes that have a paddle latch; if you want to verify that it will work the dimensions of the paddle latch can be found here (http://www.boltlock.com/product-specifications/toolbox-latch-retro-fit-kit-specifications/). Please be aware that the BOLT Toolbox Latch is slightly deeper than the stock latch and requires there to be a pin or another feature to come down and engage the latch from the top. We are always working on designing new locks and coming up with new ideas. Feel free to e-mail us at info@boltlock.com to let us know what type of latch your toolbox has, you never know what we might come out with next! Unfortunately you cannot rekey the lock on your toolbox; however we do sell replacement cylinders for just this sort of reason! You can order a replacement cylinder directly from us or through one of our trusted retailers. Click here to review the installation instructions on how to remove and code your new BOLT cylinder. Unfortunately our tailgate handle only works with the new body style of the Silverado and Sierra’s introduced in 2007 and not with the Classic Edition. If you are unsure whether you have a Classic Edition or not we recommend you compare your key to that on the back of the packaging for the tailgate handle as the key also changed with the introduction of the new body style. We are always working on new products and we are working with other companies to get as many solutions as possible out onto the market. Keep checking back on our website and social media outlets as we will announce any products there! Excellent! E-mail us at info@boltlock.com and let us know! Our engineers are always looking for new and innovative ideas. Who knows your idea might just be our next big product! Prefer to buy your locks online? You can visit one of our online partners at SummitRacing.com, AdvanceAutoParts.com, or PepBoys.com! Keep checking our Facebook, Twitter and Instagram pages as we will announce any promotions there! Follow us @boltlock! The exact return policy depends on where you purchased the lock from. However in general the lock must be unused with the sticker and quality seal still in place. Unfortunately once these have been removed the lock cannot be resold as we can’t guarantee that they lock has not been coded. If you purchased through BOLTLock.com our return policy is that an unused lock can be returned for a full refund within 30 days from the date of purchase. Please e-mail us at info@boltlock.com or call us at 1-877-251-8798 to obtain a RMA (Return Material Authorization) form. Let us know! You can either e-mail us at info@boltlock.com or you can call our Customer Service Representatives at 1-877-251-8798. They will be able to help you troubleshoot or if needed get you a replacement lock under the warranty. We believe in BOLT Locks so much that we feel that they should last the lifetime of your vehicle. So if for some reasons the lock mechanically fails we will be happy to look at it and see if a replacement is warranted. If something does happen to your lock we ask that you please take it back to the retailer which you purchased it from as we do warranty all of our retail locations. If they are unable to help you, or you purchased a lock from BOLTLock.com, please contact us at info@boltlock.com and we can arrange to get you a replacement lock. A full description of the Limited Lifetime Warranty can be found here (http://www.boltlock.com/warranty/). The easiest way is to take the lock back to the store you purchased it from, they will be able to replace the lock for you. If you purchased the lock from BOLTLock.com you can e-mail us at info@boltlock.com. If you have any problems returning the lock to your retailer please contact us at info@boltlock.com and we will be happy to assist you. We recommend you sell the locks with your vehicle, if you have the locks for the life of the vehicle it might be time for a new set anyways! We do understand that a set of BOLT Locks is an investment in your truck so we offer our returning customers a discount under our Customer Loyalty Program. For more information on our Customer Loyalty Program click here. Alternatively you can keep your old locks and a copy of your vehicle key. While the locks would not match your new vehicle key, you would still have one key for all of your locks. It depends on which tonneau/topper you have. Brand FX cap, Knaphide truck bodies or a Leer cap all use our standard cylinders. You can order a replacement directly from us or through one of our trusted online partners. If you have an ARE work body or an Extang Tonneau you will need to contact the manufacturer to get a replacement cylinder. These companies use a modified cylinder in their products. We do supply both with extra cylinders as replacement parts for their products. It depends on which tonneau/topper you purchased. Brand FX cap, Knaphide truck bodies or a Leer cap all use our standard cylinders. You can order a replacement directly from us or through one of our trusted online partners. We do not recommend that you try retrofitting your tonneau/bed topper. A BOLT cylinder is both wider and longer than the average lock cylinder that came with your tonneau/bed topper; you can double check the dimensions of the BOLT cylinder here. We do not guarantee that the BOLT cylinder will work with any cover or topper that does not come from the factory with a BOLT cylinder pre-installed, and we recommend that you check with the tonneau/bed topper manufacturer regarding if the modifications would void your manufacturer’s warranty.